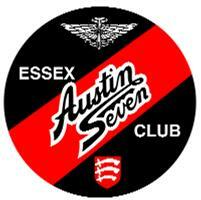 The Essex Austin Seven Club (EA7C) was formed in November 1974 by six enthusiasts who drew up a set of ideals around which the Club should revolve. These included the furtherance of the interest in, and use of, the Austin Seven in a social environment for the benefit of its members and for charity. A monthly Club Night was to be arranged at a local pub to which a speaker would be invited to address the members or otherwise a short quiz or ‘feely bag’ competition held but always making time for a ‘noggin and natter’. Although a vintage car club, EA7C made particular arrangements to include the wives in its activities, a feature of the Club which remains to this day. The first News Sheet was posted to members on 14th November 1974 following an inaugural meeting at which 46 members signed the register – including Herbert and Ruby Austin! The following month, the first edition of the Club’s monthly magazine called CHASSIS was produced on a hand operated Gestetner duplicating machine using a typed wax skin over a revolving inked drum. Over forty years later, CHASSIS is still produced each month but using modern technology. Instruction on maintenance and service to the cars, and social activity using them, were considered equally important in those early years of the Club. Membership of the Austin Seven Clubs’ Association gave access to other Austin Seven meetings throughout the country. Local driving tests were set against other motoring clubs; a camping weekend in Norfolk; an inter-club Austin Seven quiz and an annual Motoring Extravaganza, to which over 300 visiting cars were displayed, put EA7C firmly on the vintage motoring map.